For seven years, before joining the Senate, I was a social entrepreneur, working in microfinance and micro enterprise programs in rural parts of the Philippines. Our institution primarily worked with women sari-sari storeowners, providing them financing support; training and linking them to companies they otherwise would not have access to. Through the years, we came to a conclusion that many other social enterprises started after ours would also adhere to – if you provided access to opportunities, Filipinos would step up, take these opportunities and do well for themselves and their families. We witnessed for ourselves how our nanay-partners improved themselves through our program and that of our microfinance partners. Many of them who didn’t finish high school and had humble beginnings were slowly but surely becoming savvier entrepreneurs who were providing more for their families through their micro businesses. The Filipino that we saw was not lacking in talent or drive, but rather, just lacking in opportunities. There were of course individuals that refused to work hard and learn, but they were always in the minority; the majority recognized and wanted the opportunities and at the end of the day, did well with them. It was the same case for our work with the youth. The more popular image of the Filipino youth is involved with teenage pregnancies, drug abuse, violence in gangs and too much DOTA-playing. Yet, in our years serving the sector, we found thousands of outstanding youth organizations serving their communities, a brotherhood assisting the welfare of indigenous peoples, former street children teaching arts education to their peers, transformed tambays training for disaster rescue, and a group of young people teaching financial literacy and entrepreneurship to former combatants and children of war. It’s the same formula for the Filipino youth. Give them the proper guidance and mentoring, show them that they can do something worthwhile for themselves and for other people and see them grab these opportunities and make the most out of it. I’ve been both a witness and an advocate of this fundamental truth that Filipinos can achieve if given the right tools and support. But unfortunately, still to this day, a number of our countrymen do not believe in our own capacity for goodness and greatness. For every believer in entrepreneurship, there are those that say that Filipinos are Juan Tamads and not built to be our own bosses. For every advocate of the Filipino youth, there are those that believe that the youth are useless, apathetic and only concerned with their Facebook and video games. With regard to the Bangsamoro Basic Law, the same opposing perspectives apply. There are those who believe that development in the area cannot be achieved under Moro leadership, while there are those that believe that our Moro people can reverse the vicious cycle of poverty and violence through their self-determination. There are those that speak with certainty that funds given to the Bangsomoro will be used primarily for guns and to line the pockets of corrupt politicians, while there are those who see classrooms and hospitals being built, water systems, electricity and social services finally being delivered to the communities. Somewhere between these two perspectives lies the best course of action – a careful optimism that sees all angles but has that positive outlook at its heart and as its driving force. Make no mistake though, action, reform and change can only happen if you start from a perspective of hope, rather than one of distrust, discrimination and pessimism. We don’t talk enough about the politics of hope. In our minute-by-minute, 140-character, news cycle-led world, it seems that the politics of hope has become passé or even considered naive by the armchair analysts. Optimism has seemingly lost its luster amidst the talk of vengeance, distrust and disappointment with our leaders. But the truth is that in my line of work, I have been blessed to come across stories of change and hope, of true political action and reform, of new translations of people power, of unsung and unmentioned heroes who, like me, still believe in what the Filipino can be. This column will hopefully be that oasis for fellow optimists and hopeful out there. Private bamboo stakeholders lamented that lack of supply may prevent the country from grabbing a lion’s share of the growing global market. 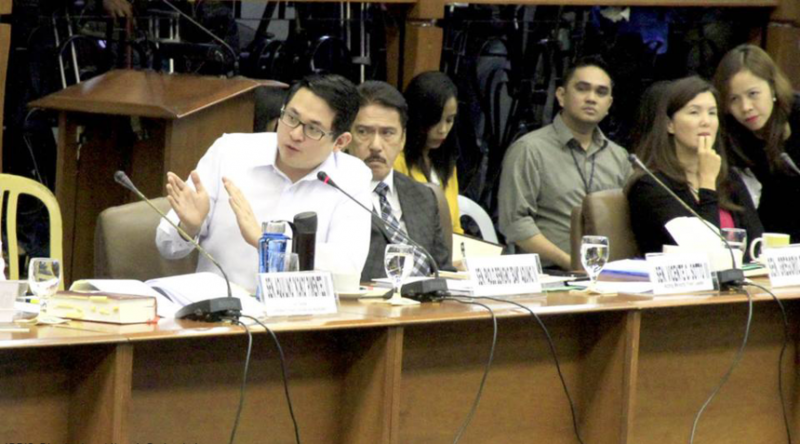 This was revealed during the Senate hearing on the status of the Philippine Bamboo Industry Development Roadmap conducted by the Committee on Trade, Commerce and Entrepreneurship headed by Senator Bam Aquino. According to different private bamboo furniture makers, there is high demand for their products but cannot keep up due to lack of supply. Even the Department of Education (DepEd) said it cannot meet its mandate of sourcing 20 percent of their furniture needs such as desk, tables and chairs from bamboo furniture makers due to lack of suppliers. During the hearing, stakeholders have pointed to the government’s lack of coordinated action in ensuring a steady supply of bamboo poles. The Department of Environment and Natural Resources (DENR) said that the country has around 50,572 hectares of bamboo forest. However, it is not enough to cover the market’s monthly demand of eight million bamboo poles. Under the National Greening Program, the government has allotted just one percent of the country’s 1.5 million hectares of forest as areas for bamboo planting. 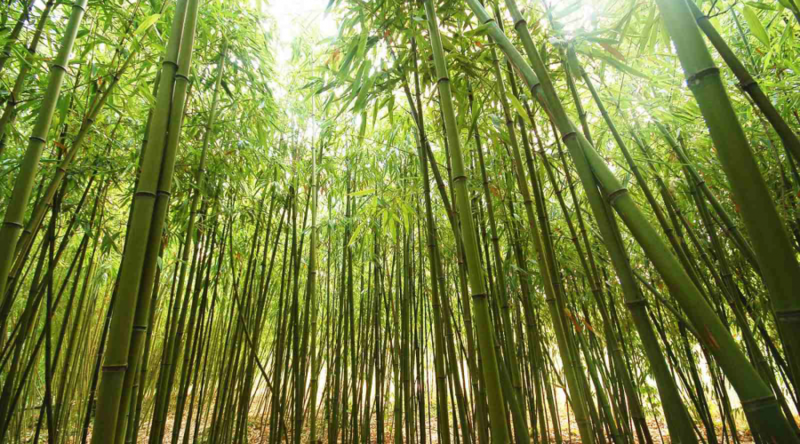 For 2015, the DENR is targeting 3,086 hectares of bamboo plantation. In line with this, Sen. Bam called on concerned government agencies and the private sector to align their plans and programs to properly address the supply dilemma the industry currently faces. 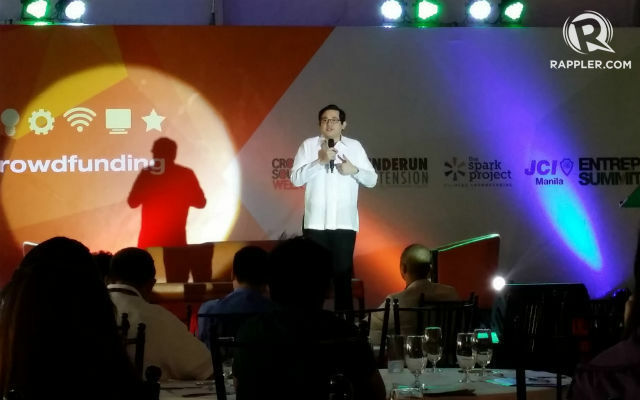 Sen. Bam said the Philippine Bamboo Industry Development Council (PDIBC), headed by the Department of Trade and Industry (DTI), must take the lead in addressing the supply issue via a technical working group (TWG). According to Sen. Bam, Executive Order 879 mandates the PBDIC to provide overall policy and program directions for all stakeholders in the bamboo industry. The EO also tasked the government to reforest at least 500,000 hectares with bamboo as contribution to the ASEAN commitment of 20 million hectares of new forest by 2020. “Why aren’t we hitting the target number of bamboo poles needed by the manufacturers,” asked Sen. Bam, adding that the DTI must clarify the roles of the concerned government agencies and other stakeholders under the EO. “That will be a lost opportunity of income and livelihood for communities and for the economy,” Sen. Bam stressed. “I would like to be able to address those concerns with recommendations coming from the PBIDC, upon consultation with all of the concerned individuals and institutions,” Sen. Bam added. Sen. Bam is pushing for a clear bamboo industry roadmap as he sees the industry as another vehicle for the government’s inclusive growth program. “If we have more communities planting bamboo and there are ready markets left and right to purchase these, that would be a waste if we don’t supply them,” said Sen. Bam. Mga Kanegosyo, noong naka­raang linggo, pinag-usapan natin ang kahalagahan ng sariling interes sa pagnenegosyo upang magtagumpay ang ating pinatatakbong negosyo. Kung nasa isip natin ang ating ginagawa o mayroon tayong enterprising mindset, masasamantala nating ang magagandang pagkakataon upang mapalaki ang ating kita. Ngayong linggo, pag-uusapan naman natin ang mahabang pagpapasensiya, na isang mahalagang katangian sa pagnenegosyo. Mahalaga na mayroon tayong mahabang pisi habang pinalalaki pa natin ang ating negosyo, lalo na sa pagpapaikot ng pera. Sa una, mukhang wala nang katapusan ang gastos dahil puro palabas lang nang palabas. Naririyan ang pagbili ng mga gamit para sa opisina tulad ng computer at printer, mesa at upuan, sasakyan para sa delive­ry at ‘di inaasahang gastos tulad ng repair ng puwestong rerentahan. Kailangang tipirin at balansehin ang mga gastos habang hindi pa kumikita. Baka malunod sa gastos at lalo lang tayong maubusan ng pasensiya sa bagal ng pagpasok ng pera. Isa pang realidad sa pagpapapasensiya ang kailangan na­ting tanggapin — hindi lahat ng naisip nating negosyo ay baka pumatok at makagawa kaagad ng marka sa merkado. Kung maikli ang pasensiya ng isang negosyante, hindi na ito magtitiyagang maghintay pa bago makilala ang kanyang negosyo o produkto. Isasara na lamang niya ito at baka hindi na sumubok ng iba pa.
Tulad na lang ni Justin Uy, may-ari ng Profood Internationa­l Corporation na nakabase sa Cebu City. Noong Dekada ‘70, sinubukan niyang pumasok sa negosyo sa murang edad na 15-anyos para makatulong sa ama’t ina at 10 kapatid. Una, pinasok nito ang shell crafting bago sinubukan ang paggawa ng fashion jewelry, manukan, pagtatanim ng kabute at iba’t iba pang maliliit na negosyo. Maliban sa kulang sa puhunan, hindi rin nagtagal ang kanyang mga negosyo dahil sa kawalan ng maganda at matibay na merkado. Sa negosyo naman niyang manukan, naubos din ang kapi­tal niya dahil kinailangan pa niyang gumastos sa patuka ng mga manok. Bukod pa rito, matagal pa ang paghihintay bago mangitlog ang mga manok. Noong Dekada ‘80, napansin nito na nagkalat ang mangga sa kanilang lugar at hindi pinapansin ng mga magsasaka dahil walang gustong bumili. Kung patuyuin kaya niya ang mga manggang nakakalat? Pinasok niya ang pagtitinda ng dried mangoes, na kalat na sa Cebu noon pang ­Dekada ‘50 ngunit karamihan sa mga ito’y home-based lang. 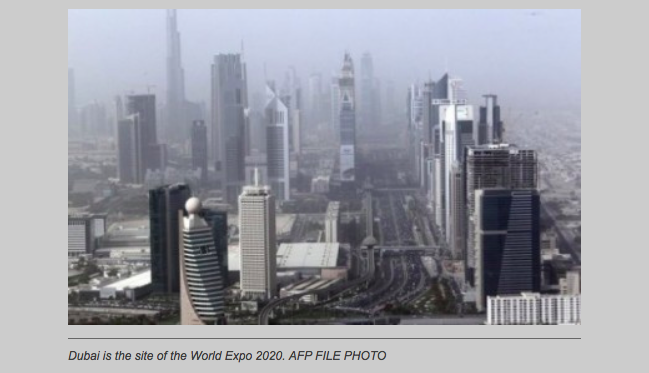 Doon na nagsimul­a ang Profood Inter­natio­nal Corporation. Dahil latecomer na sa dried mangoes industry, nahirapan siyang pasukin ang lokal na merkado. Kaya ibinenta niya ito sa Europe, United States at Japan. Ngunit hindi ito na­ging madali para sa kanya dahil mahirap para sa isang papasimula pa lang na kumpanya ang magbenta ng produkto sa isang maunlad na bansa. Sa halip na mawalan ng loob, gumawa siya ng ilang mga hakbang para maging katanggap-tanggap ang kumpanya sa ­international market. Pinasok niya ang toll packing para sa ibang kumpanya tulad ng Del Monte, Nestle at Coca-Cola. Maliban pa rito, ginawa niyang moderno ang kanyang planta at tinuruan ang kanyang mga tauhan ukol sa international standards ng pagpoproseso ng produkto para makakuha ng international certification. Tatlumpu’t apat na taon ang binuno niya bago nailagay ang Profood International Corporation bilang pinakamalaking dried fruit producer sa country. Mula sa mangga, nasa 15 nang tropical fruits ang kanilang pinapatuyo at ibinebenta. Target din nito na makapaglabas ng walong bagong produkto sa mga susunod na taon. Kung naubos lang ang pasensiya ni Justin sa mga pagsubok na kanyang naranasan, hindi niya maabot ang titulong “Dried Mango King” ng Pilipinas. Mga Bida, ilan taon nang patok ang larong Defense of the Ancients o DOTA sa ating kabataan. Halos napupuno ang mga Internet cafés sa buong bansa dahil sa mga naglalaro ng DOTA. Ang DOTA ay tinatawag na multiplayer online battle arena (MOBA) game kung saan dalawang grupo ng players ang naglalaro. Ang pakay ng laro ay sugurin at sirain ang base ng kalabang team. Sa sobrang kasikatan nito, ginawan pa ito ng kanta ng dalawang Pinoy artist na may pamagat na, “DOTA o ako?” kung saan pinapipili ng babae ang kanyang boyfriend kung sino ang mas mahalaga. Kung sa tingin ng iba, isa lamang libangan ang paglalaro ng DOTA, may isang grupo naman ng kabataang gumagawa ng pangalan sa Pilipinas at sa ibang bansa sa paglalaro nito. Ito ay ang Team Rave na binubuo nina Ryo ‘ryOyr’ Hasegawa, Jio ‘Jeyo’ Madayag, Djardel ‘Chrissy’ Mampusti, Mark ‘Cast’ Pilar at Michael ‘nb’ Ross. Kamakailan, humingi sila ng tulong sa aming tanggapan para makakuha ng pagkilala sa kanilang pagsali sa international DOTA tournaments. Nahihirapan silang pumunta sa ibang bansa para makipagkumpetensiya dahil pinagdududahan sila ng mga embassy na sila lamang ay magti-TNT o tago nang tago, at ‘di na rin babalik ng bansa. Maliban pa rito, hirap silang makakuha ng mga sponsors dahil hindi naman kinikilala ang kanilang paglalaro bilang isang totoong sport. Sa kuwento nga ni Jio sa Facebook page ng Team Rave, dumating na sa punto ng kanyang pananatili sa South Korea na isang beses lang siya kumain sa isang araw. Subalit hindi sila nawalan ng loob. Ipinagpatuloy pa rin nila ang kanilang career bilang mga professional e-sports players. Kung mayroon silang kinita mula sa isang tournament, agad nila itong ipinapadala sa mga pamilya nila sa Pilipinas. Nabigyan ng malaking break ang Team Rave nang makapasok sila sa DOTA 2 Asian Championships (DAC) na mayroong kabuuang prize money na $2.94 million o P130 million noong nakaraang buwan. Itinuring na underdog ang mga kabataang Pilipino sa event dahil ito’y madalas mapanalunan ng mga koponan mula sa China o Russia. Subalit maraming ginulat ang Team Rave nang rumatsada ito patungong ikaanim na puwesto sa mundo. Natalo nila ang Team Hell Raiser mula Russia at Team Invictus mula China. Subalit, natalo sila ng Team Big God mula China sa score na 2-1. Ang mga Tsinong ito ay mga matatagal nang naglalaro ng DOTA at nakikipaglaban sa mundo. Kahanga-hanga ang naabot ng TeamRavePH. Hindi ito inaasahan dahil kasama nila sa torneo ang labing-anim na pinakamagagaling na DOTA teams sa mundo. Nagbunga ang kanilang pagsisikap dahil nakapagbulsa sila ng P6.6 milyon o $150,000. Bukod dito, nakilala ang Pilipinas bilang isa sa mga bansang may pinakamagaling na DOTA players sa mundo. At mga Bida, noong nakaraang linggo, nanalo na naman ang Team Rave nang talunin nila ang Team MVP Phoenix ng South Korea sa score na 3-2. Dahil dito, inihayag ang Team Rave bilang ang Summit 3 DOTA South East Asia Champions. Sila ang kakatawan sa South East Asia sa Mayo sa Los Angeles, California para sa Grand Finals. May sigurado na silang P160,000 o $3,600, ngunit ang target nila ay maging kampeon sa mundo at manalo ng P2.7 milyon o $61,000. Sa kabila ng karangalang hatid nito sa bansa, marami pa rin ang bumabatikos sa e-sport na ito. Kesyo nakakasira raw ito ng pag-aaral at nauubos na ang oras ng ilan sa paglalaro nito sa halip na magtrabaho. Pero bago tayo humusga, dapat nating timbangin ang epekto nito sa lipunan. Ano nga ba ang nakakasakit? Ang boxing o ang paglalaro sa Internet café? Dapat lang ilagay sa tama ang paglalaro nito dahil lahat naman ng sobra ay nakakasama na. Ang ilang mga siyudad at barangay nga ay ipinagbawal na ang paglalaro ng DOTA. Ngunit malaki ang naitutulong ng DOTA para masanay sa strategic thinking, cooperation, teamwork at iba pang mahahalagang values para sa kabataan. Ilang dekada ang nakalipas, pumatok sa bansa ang larong bilyar bunsod na rin ng tagumpay ni Efren ‘Bata’ Reyes. Sa kasagsagan ng kasikatan ng bilyar, sa halos lahat ng kanto ay may makikita kang bilyaran kung saan nag-uumpukan ang maraming tao. Noong una ay hindi kasama ang bilyar sa Southeast Asian Games at Asian Games ngunit napilitan na rin ang organizers na isama dahil sa kasikatan nito. Ilang beses na ring nakapag-uwi ng medalya para sa bansa sina Bata, Francisco “Django” ­Bustamante, Ronnie Alcano at maraming iba pa nating mga ­manlalaro. Ganito rin ang nakikita ko sa e-sports. Malay ­natin, baka sa loob ng dalawang dekada ay kilalanin na rin ito bilang isang totoong sport at isama pa sa ­international events gaya ng Olympics. Kapag nagkataon, mayroon na naman tayong pani­bagong pagkukunan ng karangalan. Kaya sa ating mga DOTA players, patuloy lang ang laban tungo sa tagumpay! I have signed the committee report with reservations and with an intention to propose amendments. As much as we agree with majority of observations found in the committee report on the Mamasapano incident including the President’s responsibility which he himself stated in a public address last month, we feel that there were conclusions made on matters that were beyond the scope of the hearing. 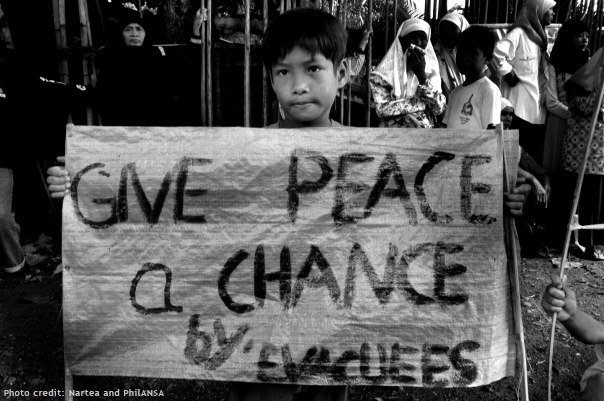 Primarily, these include conclusions made regarding the peace process, the actions of the Government Peace Panel and regarding the Bangsamoro Basic Law in general. We have sent a letter to the committee seeking clarification on these matters. And if need be, we will propose amendments to the committee report when it is tackled on the floor.